Hank O&apos;Neal, for many years the owner of a jazz record label, keeps an extensive collection of music in his New York apartment. NEW YORK — Hank O’Neal may be the most interesting person you’ve never heard of. 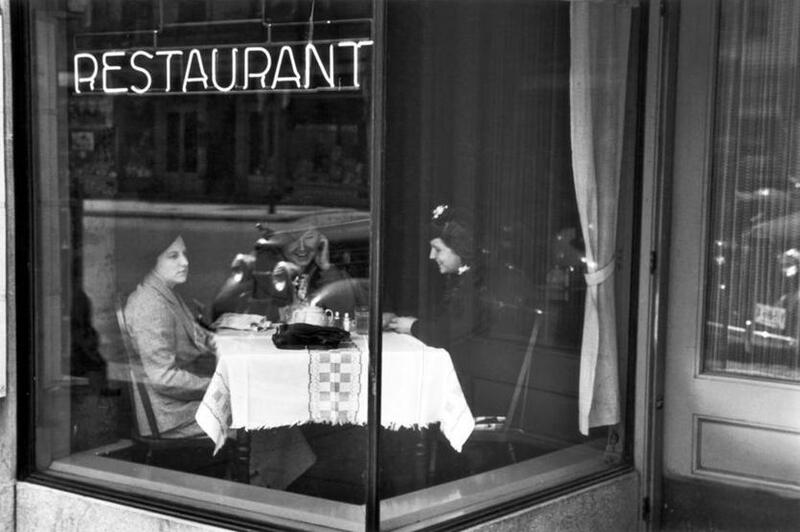 Himself an accomplished photographer, O’Neal, 78, has been friends with several of the foremost photographers of the 20th century: from Berenice Abbott (she was maid of honor at his wedding) to André Kertész and Robert Frank. For many years the owner of a jazz record label, Chiaroscuro, O’Neal has been friends with an even more head-spinning array of people in the music world: from Dizzy Gillespie to Dave Brubeck, to the music executives John Hammond (they were business partners in the ’80s) and Ahmet Ertegun, to the classical trumpeter and conductor Gerard Schwarz and the ballerina Allegra Kent. “Back in the ’70s, my primary interest in life, besides making records and taking pictures, was chasing ballet dancers,” O’Neal says with a post-sheepish smile. 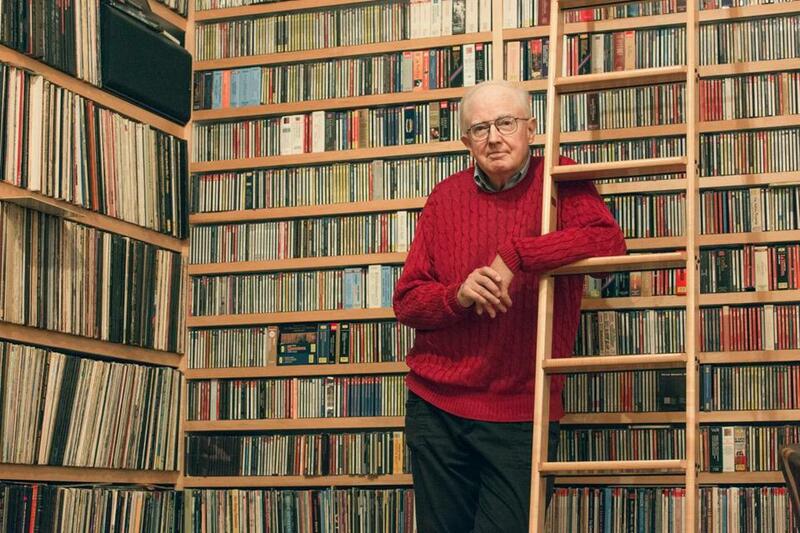 He’s sitting in his office, which has more books on its shelves than many small libraries and more recordings than most small radio stations. On the walls in the rest of the apartment, which he shares with his wife, Shelley Stier, there are enough photographs to keep a gallery in business. The apartment is in the East Village, a few doors from the Strand Bookstore and within walking distance of the Village Vanguard and Blue Note jazz clubs. O’Neal gets around, but he doesn’t need to go far to do so. The author of more than a dozen books, O’Neal has another half-dozen on the way. The most recent is a reissue of “A Vision Shared,” his pathbreaking 1976 book on the Farm Security Administration photographers of the ’30s and early ’40s. 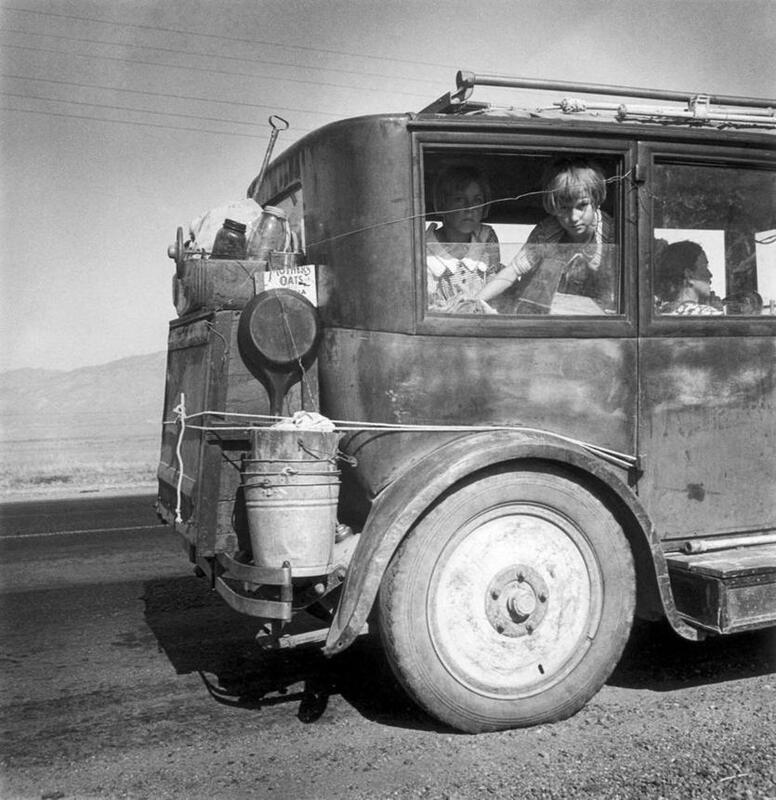 The group included Dorothea Lange and Walker Evans. O’Neal knew him, too. The new edition is published by Steidl Verlag, the world’s most prestigious publisher of photography books. 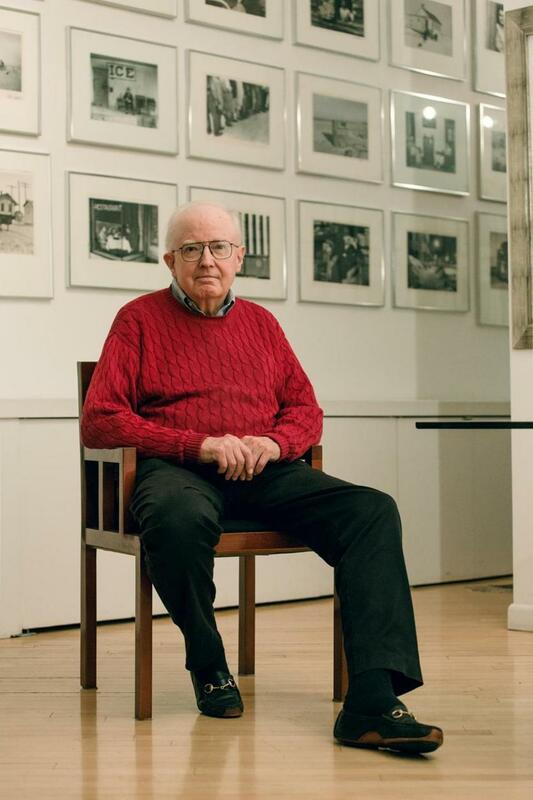 Steidl has also issued a half-dozen volumes on Abbott co-edited by O’Neal and Ron Kurtz. An even more unlikely connection is with Ty Cobb, the legendarily mean baseball Hall of Famer. “Well, he wasn’t mean to boys who wrote him letters,” O’Neal explains. Their correspondence when O’Neal was in his early teens is the subject of one of those forthcoming books, “Sincerely, Ty Cobb.” It comes out later this year. O’Neal, who’s on the boards of the Jazz Gallery performance venue and the National Jazz Museum in Harlem, is also on the honorary founders board of the Jazz Foundation of America. Wendy Oxenhorn, the foundation’s executive director and vice chairman, is a longtime friend. O’Neal’s many associations might make him sound like a real-life Zelig, the Woody Allen character who seemed to know anyone who was anyone in 20th-century culture. Except Zelig wasn’t a CIA agent: Yes, O’Neal served with the agency — as a junior officer, not a spy — from 1963 to 1976. He was still on the payroll when he began Chiaroscuro and started hanging out with Abbott. His CIA training came in handy the three times he helped her smuggle gold across the Canadian border. The Farm was also where O’Neal saw his first James Bond movie. “It cost a quarter,” he recalls. O’Neal’s star-studded stories might sound like a severe case of the name-drops. In fact, all those bold-face names are as naturally a part of his conversation as the occasional bad joke and his wheezy laugh. It’s more that he’s connecting the dots in his life, much in the way he’s spent nearly half a century connecting the dots in American culture — introducing Abbott to Allen Ginsberg (who was photographer at O’Neal’s wedding) or trying to record Ornette Coleman with Arnett Cobb (“Hey, they were both Texas horn players,” O’Neal says with happy shrug). Few people alive today have such a widespread set of dots, let alone ones of such high artistic quality. Might “happenchance” be an East Texas-ism? O’Neal was born in Kilgore, near the Louisiana border. For once, a question vexes him. “I don’t know,” he frowns. “It’s just a word I use.” He says this in a slightly reedy voice that still betrays a bit of Lone Star drawliness. “It didn’t seem strange to me to do [the avant-garde saxophonist] Hamiet Bluiett one day and [the Dixieland cornetist] Wild Bill Davison the other day. It was just really good music. It still really is.” Another mark of the label’s catholicity: More than half of the inductees in the Jazz Hall of Fame recorded for Chiaroscuro at one time or another. How did O’Neal come to have a record label? More happenchance. During his CIA service, he met a wealthy jazz fan named Sherman Fairchild. Fairchild bankrolled the label, originally called Halcyon, with the pianist Marian McPartland as third partner. That was 1969. “The partnership dissolved eventually,” O’Neal explains, “because Marian was primarily interested in recording Marian, and I was primarily interested in recording Marian and everybody else.” When Fairchild died, his estate sold the label to O’Neal for a nominal sum. A year at Rensselaer Polytechnic Institute taught O’Neal he wasn’t cut out to be an engineer. Happenchance took him to Syracuse University. A course on Soviet government brought him to the attention of a CIA recruiter. When he learned that he could do his ROTC-required time in the Army working for the CIA, that sealed the deal. O’Neal spent a few years in Washington working as an analyst, then was sent to New York. This was 1967. When it’s pointed out that its domestic activities got the CIA in trouble right around this time, O’Neal makes a useful distinction. “The covert part, not the overt part.” Extrovert that he is, O’Neal was definitely overt. Its expensiveness made New York an unpopular posting. O’Neal didn’t mind. He stayed for three consecutive three-year tours and finally left the agency because it wanted to send him to Pittsburgh. 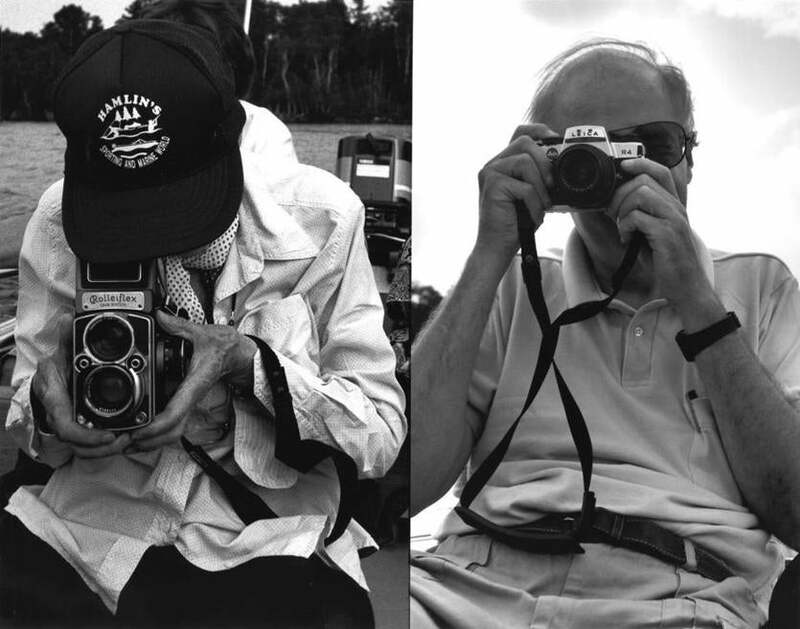 Photos of Berenice Abbott (left) and Hank O’Neal, taken by each other in Maine in 1990. The book’s designer had been a student of Abbott’s. O’Neal met Abbot and bought some prints (always a good way to endear yourself to a photographer). “She told me if I ever got a real camera to come up to Maine [where Abbott lived] and she’d show me how to use it.” The first lesson did not go well. “You’ve got to do a damn sight better than that, buster!” Abbott told him. But it saw the beginning of a friendship that would last until Abbott’s death, in 1991. It was a mark of how much Abbott came to depend on O’Neal that, yes, she enlisted him those three times to go with her to Canada to buy gold and smuggle it back into the States. It was Abbott “who put me into photography in a really serious way,” O’Neal says. Around this time, he began to take an interest in the work of the Farm Security Administration (originally, the Resettlement Administration). 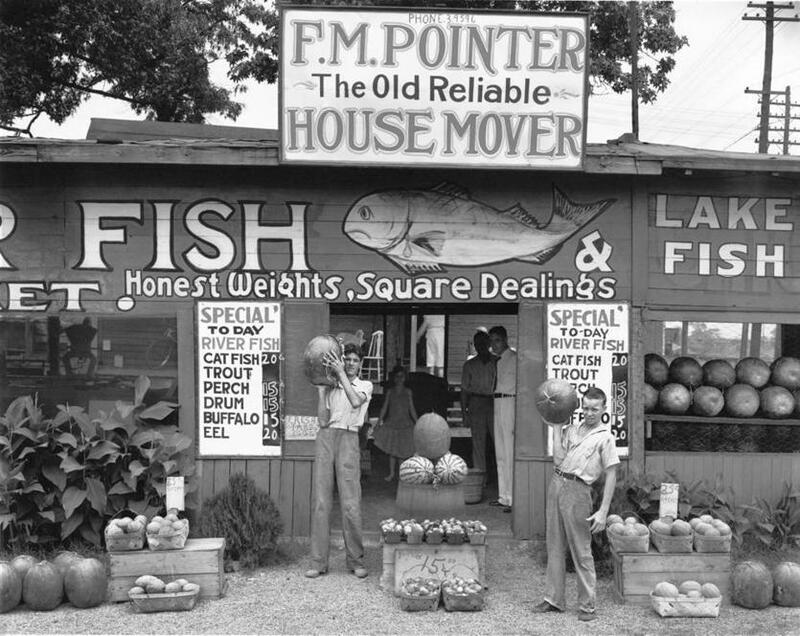 The dozen photographers this small government agency employed between 1935 and 1943 amassed some 175,000 images documenting social conditions in America. At least two of those images are among the most famous in the history of the medium: Lange’s “Migrant Mother” and Arthur Rothstein’s photograph of an Oklahoma farmer and his two sons hunched against a Dust Bowl storm. Taken as a whole, these photographs are the greatest work of public art in US history. All of them can be seen on the Library of Congress website, at www.loc.gov/pictures/collection/fsa/. Having access to them was a very different story in 1976, when “A Vision Shared” appeared. What most pleases O’Neal about “A Vision Shared” is the human element: The tribute it offers not just to a remarkable body of work but, even more, to that body of work’s creators. If one thing defines O’Neal’s happenchance journey through the past half century it’s been just that: an ongoing attempt to do it all, or at least do it all as regards much of what has been uniquely American about American culture and so enhance and enlarge appreciation of that American uniqueness. If O’Neal ever writes his autobiography, “A Vision Shared” would be an ideal title, except that it’s already taken. FSA photographs line the walls of Hank O'Neal’s New York City apartment.